The real purpose of the rectus abdominis is to help keep your core stable, maintain your posture and enable you to bend forward at the waist. But most people who want to develop their six-pack are more interested in how it looks than what it does. 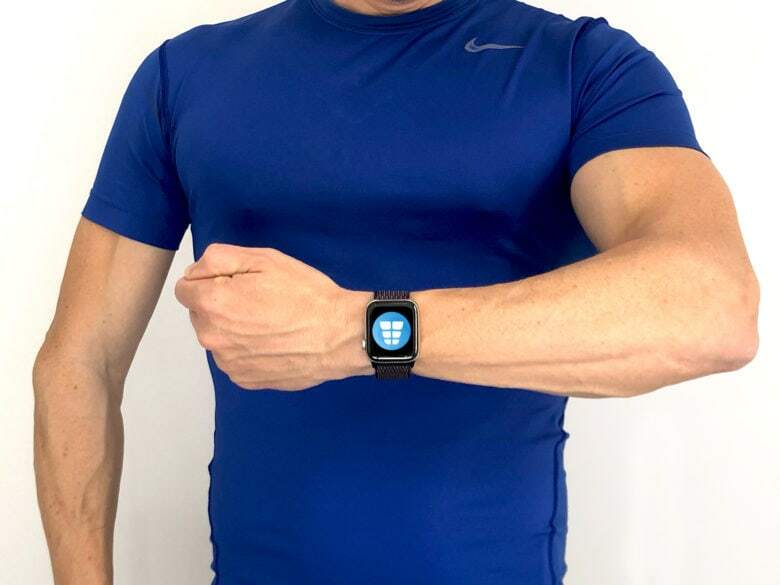 So let’s take a look at how to achieve an impressive-looking six-pack, and how your Apple Watch and iPhone can help. The Lose It watch app tells you how many calories you have left for the day. The reason that most of us can’t see our six-packs is not because they aren’t there, but because they’re hidden by a layer of fat between the muscle and the skin. If you have too much abdominal fat, you won’t have sufficient muscle definition for your abs to show, however well-trained they may be. So the starting point for any six-pack training program is to make changes to your diet. The calorie-counting app I use is Lose It. When you enter your details into Lose It, the app provides a recommended amount of calories you should consume every day. 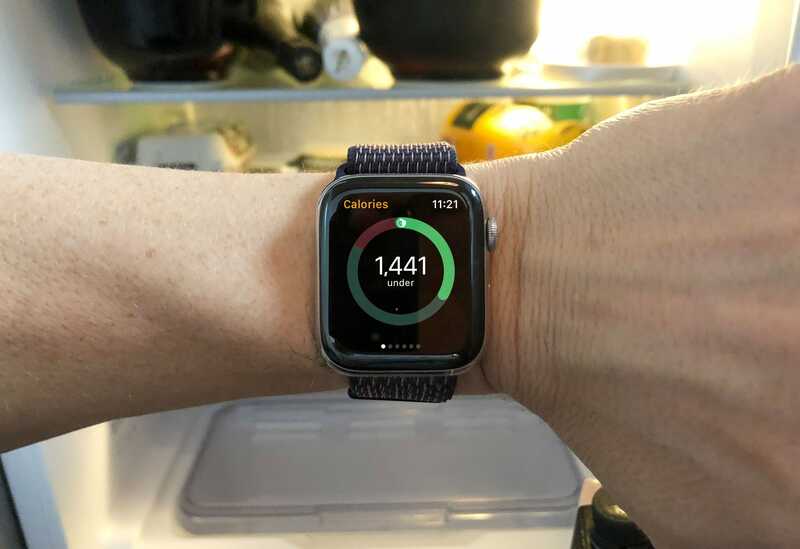 It has a great design, with an excellent companion Apple Watch app that shows you everything you need to know at a glance. That includes how many calories you have left for the day, which meals you logged, and your macro breakdown of carbs, fat and protein consumed. Lose It makes it pretty easy to enter details about what you are eating, but it still can be a bit of a hassle. Personally, I use it when I am making changes to my diet. Then, I stop using it once I’ve gotten into a new eating routine and know roughly how many calories I’m consuming. In the Health app, go to Health Data > Body Measurement > Weight. Then just tap the plus (+) icon top-right to enter your weight manually. If you want a six-pack, in addition to body weight, it’s also important to monitor Body Fat Percentage (which you will also find in Health Data > Body Measurements). Since body fat percentage estimates are not always accurate, it is also a good idea to monitor your Waist Circumference. (That’s also in Health Data > Body Measurements.) For this, all you need is a good old-fashioned tape measure. Make sure you keep the tape measure even, and measure around the level of your belly button. The elliptical machine is ideal for conditioning workouts. As you get older, dieting alone is unlikely to give you sufficient definition for your six-pack to become visible. You will probably need to do some conditioning work as well to raise your metabolism. That way, your body becomes more effective at burning fat. Time to work those abs. Doing exercises that target a specific area of your body, like your belly, does not reduce your body fat in that one area. This myth, often referred to as “spot reduction,” has been disproven. So if your abs are covered by a thick layer of body fat, it really does not matter how much core exercise you do. Your six-pack will still not be visible. That said, you can train your six-pack just like any other muscle. So if your six-pack is already visible, then exercises will make it look more impressive. And even if it is not yet visible, you can still be getting it ready for the big reveal when you shed enough body fat to see it. 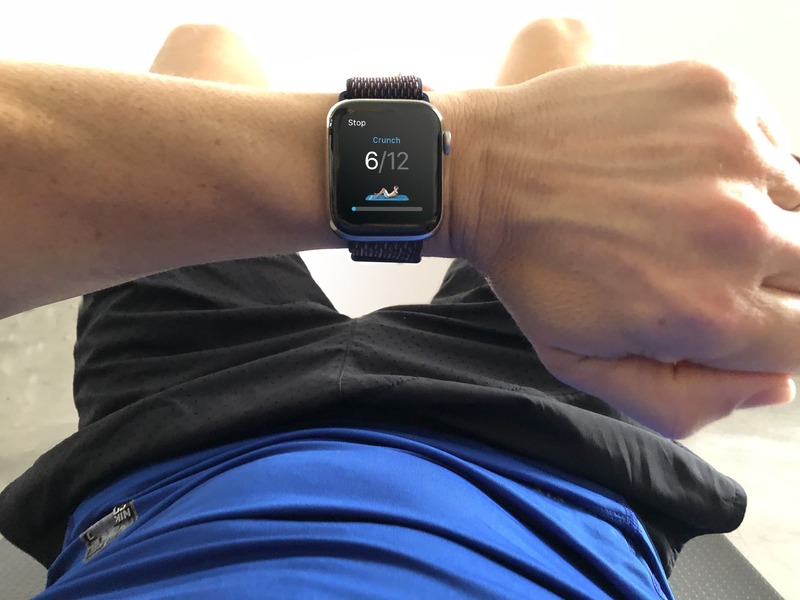 Where core muscles differ from other muscles is that they play an important stabilization role, which means that keeping still is just as important as moving for them. That’s why you’ll find a lot of core exercises are static, like the plank. This kind of strength training is known as an isometric exercise. For core workout ideas that include plenty of isometric exercises, check out the Runtastic Six Pack Abs Workout app. Despite its name, this app is not just for runners. 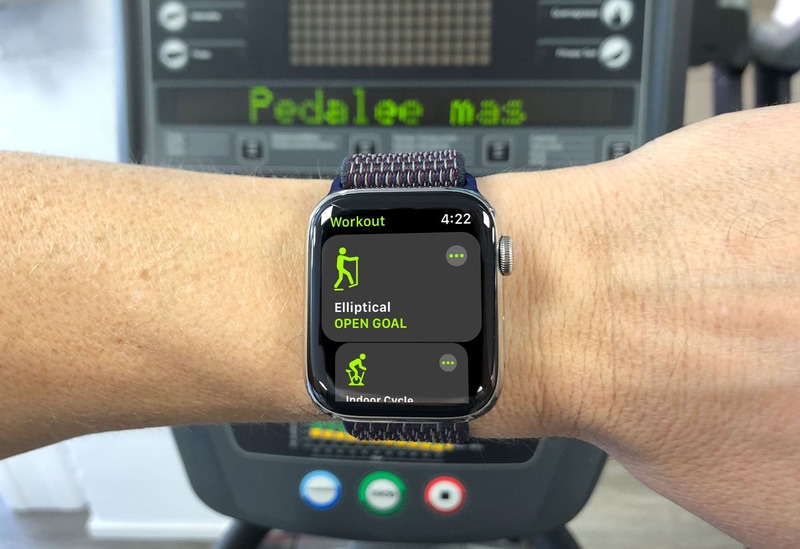 It includes an excellent companion Apple Watch app that provides great animated diagrams and timers right on your wrist, to show you exactly what to do and when to do it. It’s a free download, but to unlock all 50 exercises and create your own workouts, there’s a $4.99 in app purchase. De-stress with the Breathe app to beat your belly fat. Anyone who has ever tried to lose weight by dieting knows that it is not easy. Especially when you have been doing it for a while and your weight starts to plateau. The last area of body fat to disappear is often in the lower abdominal area, aka the belly. Which is exactly what you don’t want if you are trying to reveal your six-pack. Even on a very strict diet, some people find this last bit of fat is hard to shift. Interestingly, research suggests that body fat stored around the waist is related to a hormone known as cortisol, which becomes elevated when people experience high levels of stress. So, if you are under a lot of stress right now, that could be making it harder for you to shift your belly fat. 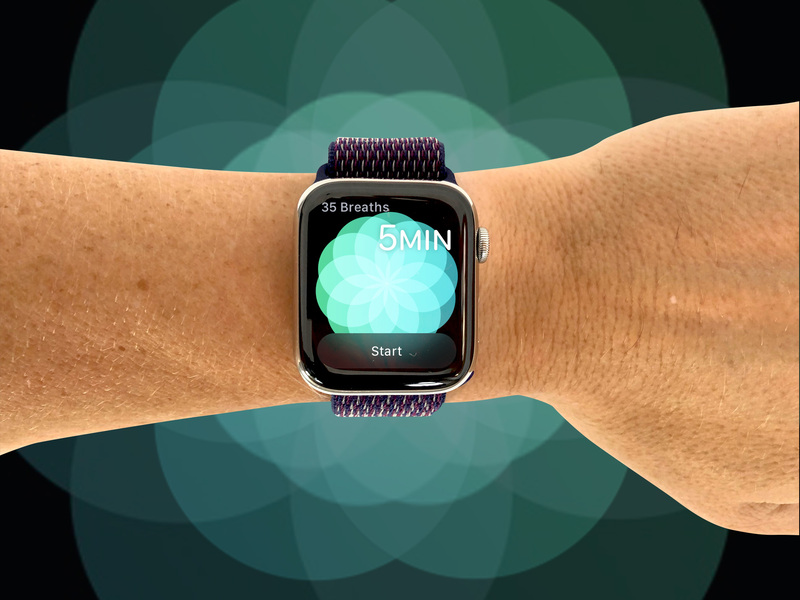 To lower your stress levels, you should give Apple’s Breathe app a try. Taking time out from your busy day to do a couple of two-minute breathing exercises can really help to take the pressure off. And, in turn, it might help to take the belly fat off as well. Ultimately, the quest for a six-pack is more about how you look than how fit you are. So it’s worth taking the occasional selfie to monitor your progress. Find a mirror with flattering lighting and always take your progress pics from the same spot, so you can compare them easily. I saw my own six-pack for the first time in my life at the grand old age of 40, when I decided to get in shape, having never done any exercise before. So I know from personal experience that it is never too late. If you want to get started on your own six-pack journey, these six apps will get you off to a great start. Good luck!